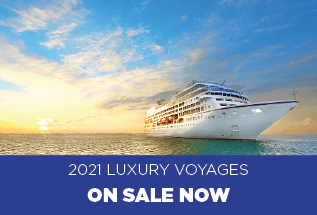 Oceania Cruises offer around 400 itineraries across the globe, with a focus on port-intensive itineraries and overnight stays. 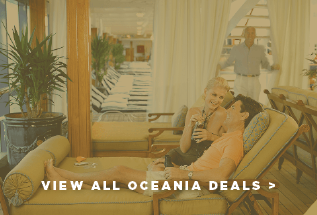 The size of Oceania Cruise’s ships means they can access smaller, more boutique ports. 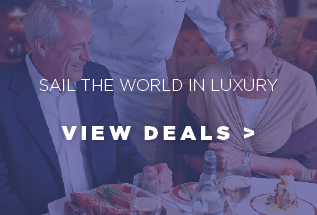 Oceania Cruises is a great pick for foodies, as the onboard dining is excellent. 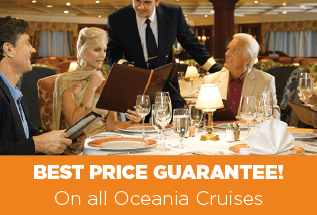 Each of the ships have at least five dining options, all at no additional charge. As well as a main dining room, you have Toscana for Italian favourites, the Polo Grill for steak and seafood, fine French dishes at Jacques and Red Ginger for contemporary Asian cuisine. Or treat yourself to a gourmet menu, with paired vintage wines, at La Reserve. For more casual dining, head to the poolside Waves Grill, or Baristas coffee and pastry bar. Afternoon tea is also served daily. For relaxation, there is the Canyon Ranch Spa offering signature treatments, plus complimentary yoga, Pilates and group fitness classes are available.